On display in the museum’s fine art galleries are dozens of paintings by renowned 19th- and early 20th-century American and European artists, including Jean Béraud, Rosa Bonheur, William Bouguereau, Jean-Léon Gérôme, George Inness, and Pierre-Auguste Renoir. Of particular note are breathtaking panoramas of Yosemite Valley (including one once loaned to the White House) by American painter Albert Bierstadt. The Haggin has the largest museum collection of major Bierstadt works. 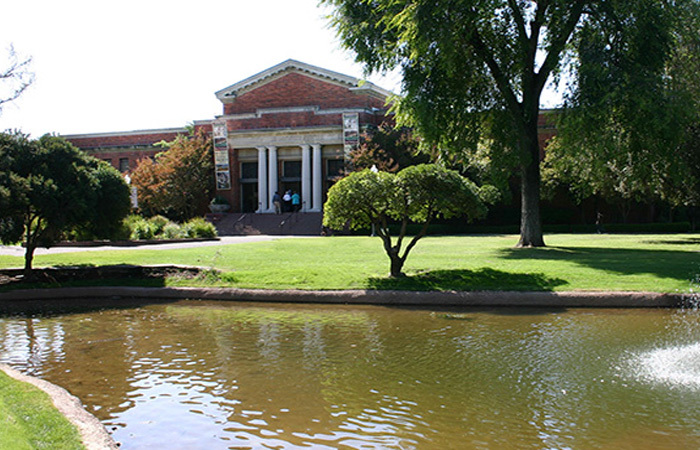 The Haggin Museum also houses the largest museum collection of original art works by “Golden Age” illustrator J.C. Leyendecker. The museum’s three-story building contains more than 34,000 square feet of exhibition space. Renovation was completed in October 2017.